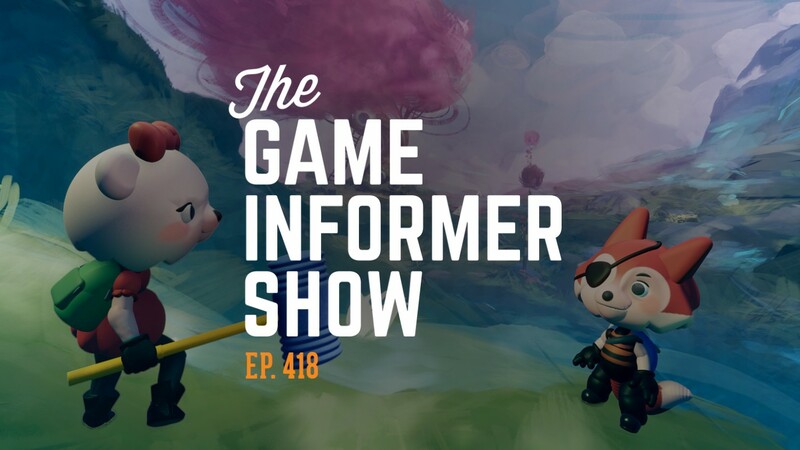 Game Informer's Ben Hanson, Javy Gwaltney, and Elise Favis share exclusive, new impressions of visiting Media Molecule for our Dreams cover story and we also talk about the wild leak of a new Harry Potter game. Then we assemble a surprising crew to talk about playing Ubisoft's Assassin's Creed Odyssey and Kyle Hilliard and Ben Reeves come by to talk about Mega Man 11, Astro Bot: Rescue Mission, and even the creation of Star Wars: Shadows of the Empire. After some great community emails where we also share new gameplay impressions of Rockstar's Red Dead Redemption II, we're joined by Foam Sword's Rex Crowle to talk about Knights and Bikes and his time working at Lionhead and Media Molecule. You can watch the video below, subscribe and listen to the audio on iTunes or Google Play, listen to episode 418 on SoundCloud, or download the MP3 by clicking here. Also, be sure to send your questions to podcast@gameinformer.com for a chance to have them answered on the show.